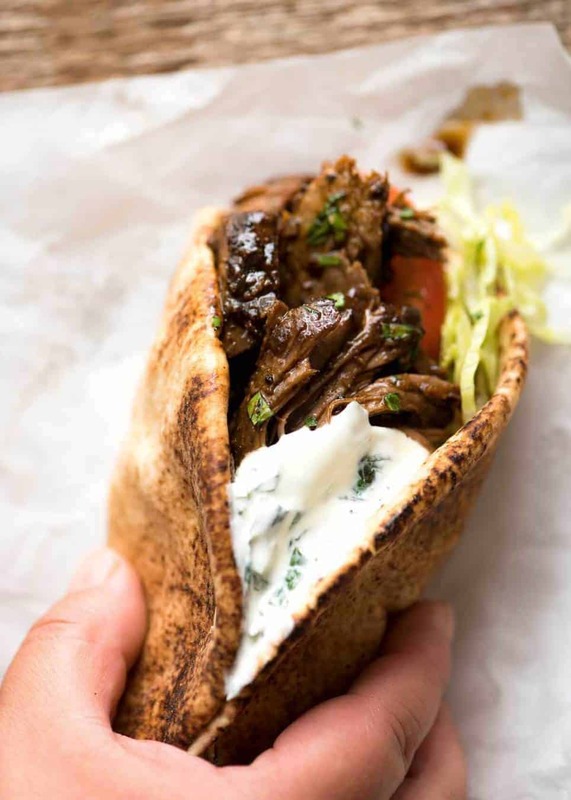 This meltingly tender Slow Cooked Lamb Shawarma is the stuff food dreams are made of!! 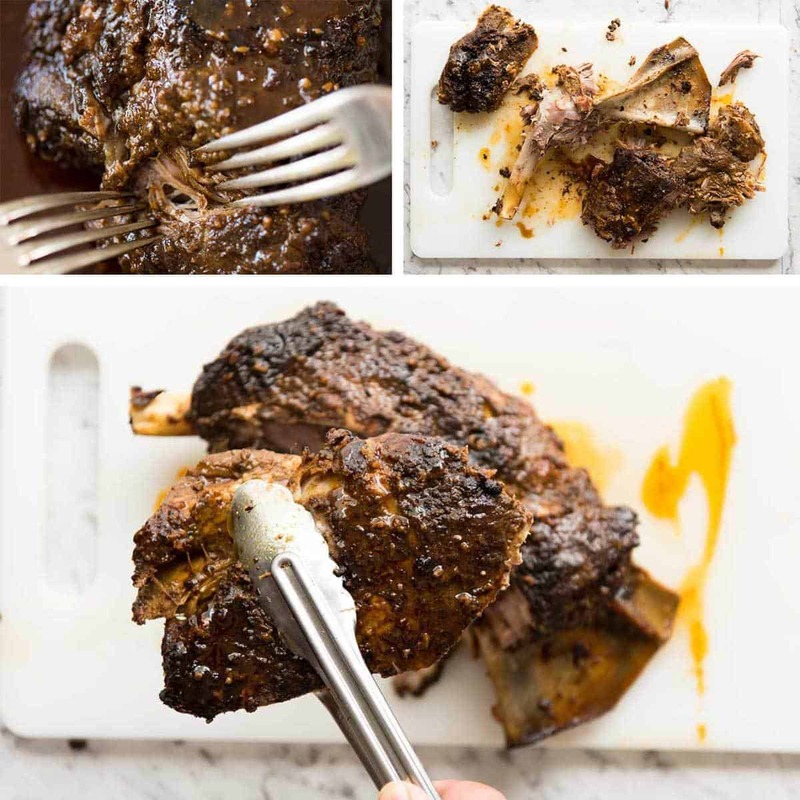 Slathered in a deceptively simple shawarma spice rub then slow cooked until fall apart, the flavour and fragrance of this lamb is absolutely heavenly. 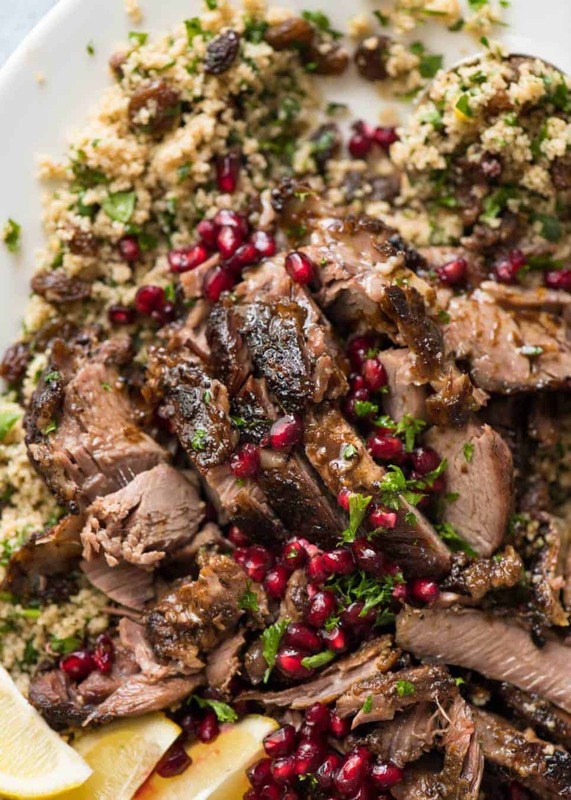 This recipe is ideal for butterflied lamb leg OR lamb shoulder. 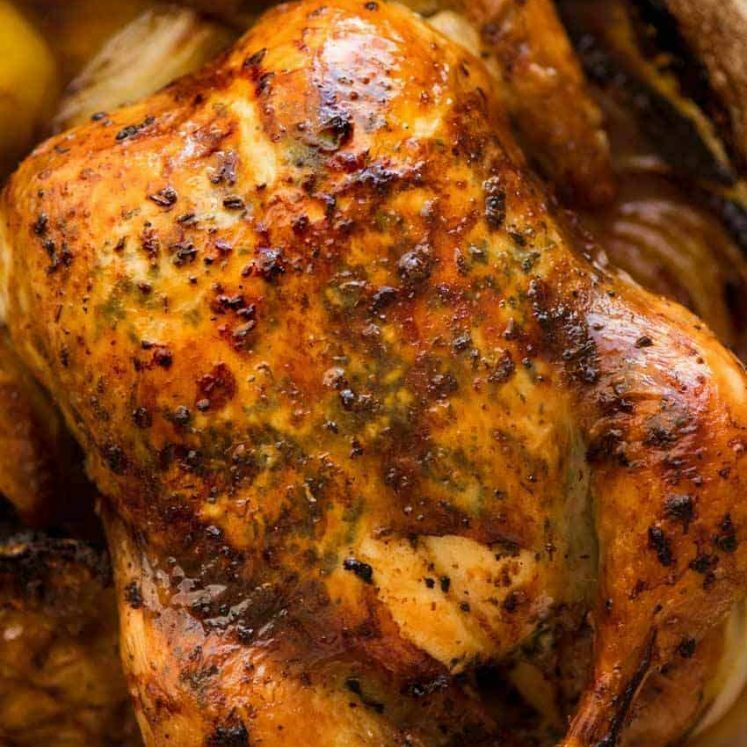 While it takes time to roast, it’s a very straightforward recipe – and will feed a crowd. Sensational for finishing on the BBQ! 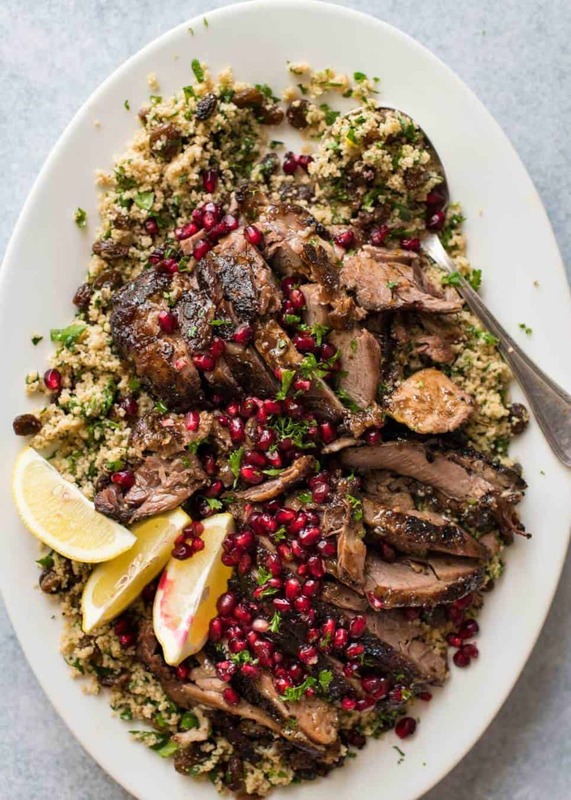 Quick to prepare but tastes like you’ve been slaving away in the kitchen all day, this Lamb Shawarma is absolutely terrific for gatherings because it’s easy to make loads, can be cooked ahead then reheated. Or in the spirit of Australia Day, finish it on the BBQ! This Slow Cooked Lamb Shawarma is 100% me. Big hunk of meat. Big flavours. Simple, fast prep, with big pay offs. Meltingly tender, fall apart meat, dripping with the beautiful roasting juices. Food made for sharing with family and friends. Food to pile onto platters to let everyone help themselves, rather than using tweezers to daintily plate up. So, here’s how this Slow Cooked Lamb Shawarma goes down. We start with a simple homemade Shawarma slather, my go-to mix that I use for my Chicken Shawarma and all things Shawarma on this site (Lamb Shawarma Chickpea Soup, One Pot Chicken Shawarma and Rice Pilaf). Nothing exotic in it, you’ll find all the spices at the supermarket: coriander, cumin, paprika, cayenne and cardamon. Plus olive oil, garlic, lemon juice, salt and pepper. Mix and slather. As for what to slather, take your pick – lamb shoulder or butterflied lamb leg. In the recipe video, I’ve used lamb shoulder because I wanted to show how to pull the lamb apart in order to finish it on the BBQ. Also because I think lamb shoulder is not quite as popular as lamb leg but I rate it highly and I want to encourage people to try it! It’s usually cheaper than lamb leg and it’s fattier which means juicier (and better for reheating), making it ideal for gatherings. 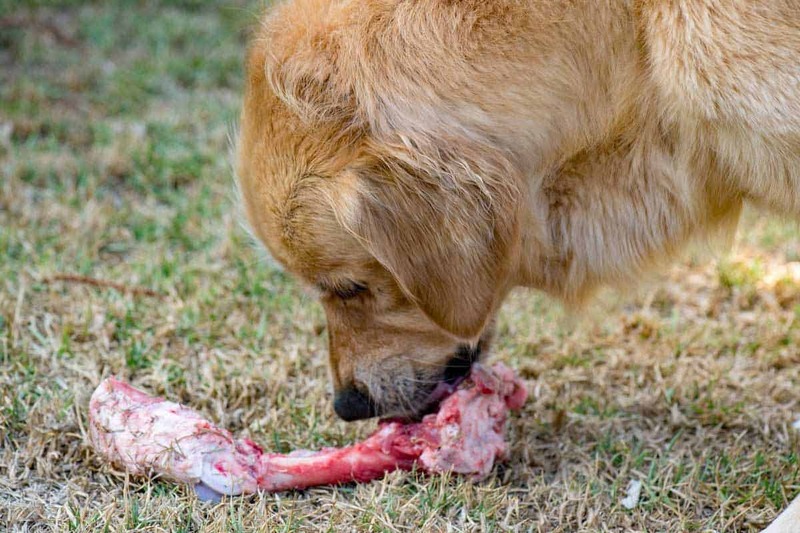 Lamb shoulder has a bone through it, like pictured below. Because the shoulder is cooked to fall apart perfection, the meat slides off the bone in 4 or 5 large pieces which you can then either slice, shred or BBQ to get an extra tasty crust on it / reheat (see the video, it looks SO GOOD!). When making Lamb Shawarma with lamb leg, I prefer to use butterflied lamb leg because you can rub the Shawarma slather into the meat better. 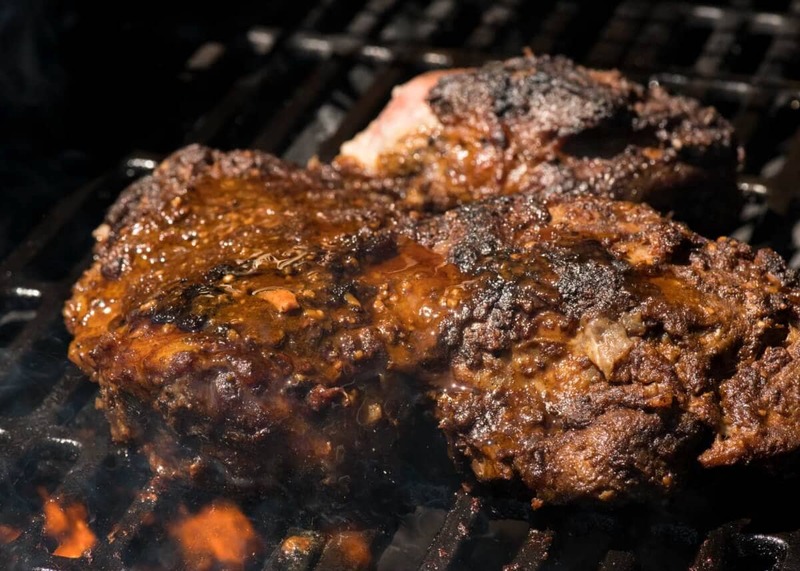 Even if you leave the lamb to marinate, a bone-in leg of lamb is very thick so the marinade doesn’t penetrate right through to the bone. Though having said that, there is plenty of heavily flavoured roasting juices to drizzle all over the meat once sliced or shredded. Lamb leg is leaner than shoulder but in this recipe, it’s cooked until meltingly tender. 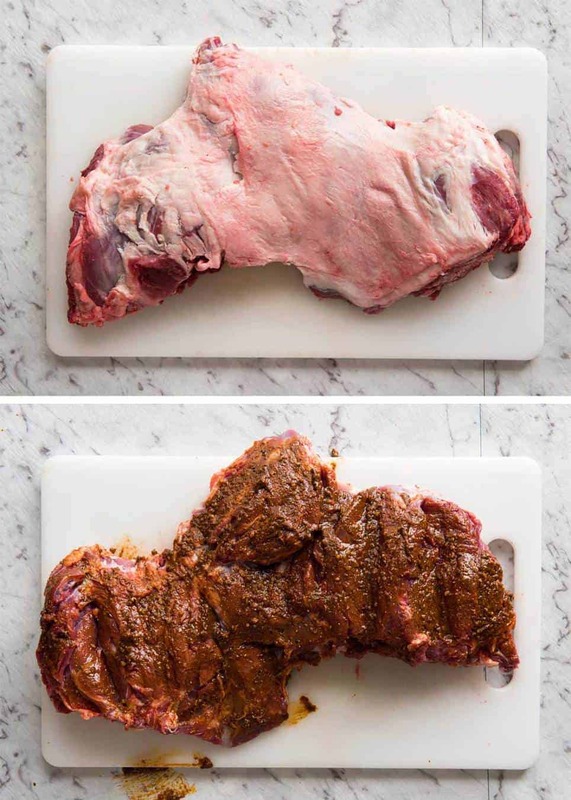 One of the “pros” of butterflied lamb leg is that it holds together in one piece even after hours of slow cooking making it easier to slice neatly. Also for handling on the BBQ – one piece rather than the multiple pieces of shoulder you’ll see in the video. Whether you use shoulder or lamb leg, you’re going to end up with this – incredible tender lamb. Sliceable but shreddable (I also show this in the video). For a side salad, try this Middle Eastern cabbage and carrot salad (you’ll love the burst of freshness from the mint) or this Tomato Cucumber Chickpea Salad (option to skip the chickpeas). 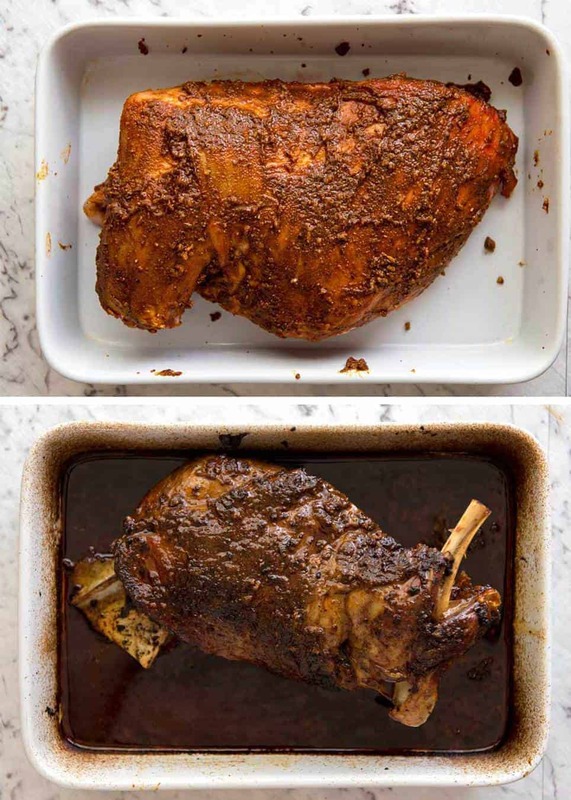 Slow Roast Leg of Lamb – infused with garlic and rosemary flavours, slow roasted until fall apart tender! This meltingly tender Slow Cooked Shawarma is the stuff food dreams are made of!! 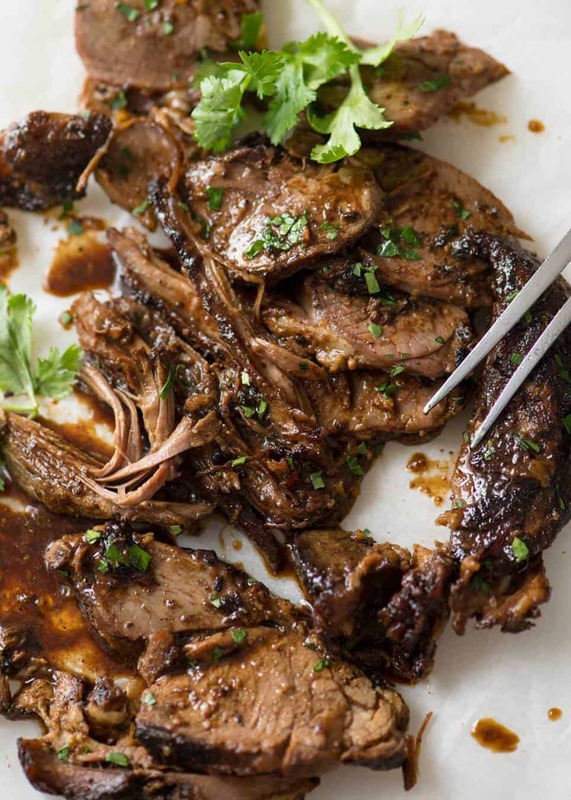 Slathered in a deceptively simple shawarma spice rub then slow cooked until fall apart, the flavour and fragrance of this lamb is absolutely heavenly. Make this Middle Eastern speciality with lamb shoulder or lamb leg. Finishing on the BBQ is optional - ideal for reheating if making ahead / summer BBQ's! SLOW COOKER directions added in notes. Recipe VIDEO below. Place Paste ingredients in a bowl, starting with 2 tbsp lemon juice, and mix. It should be a wet paste that can be slathered onto the lamb (see video). Place lamb in a large roasting pan. Slather all over with paste. Optional: Marinate 24 hours (not mandatory, I usually skip). Position the lamb with the fat side up. Pour water around, cover tightly with foil. Roast 3 hours, removing from the oven 2 - 3 times to spoon over pan juices (ie baste). Remove foil. Meat should be tender - check with 2 forks. Baste again, then return to oven for 30 minutes to get a nice crust. 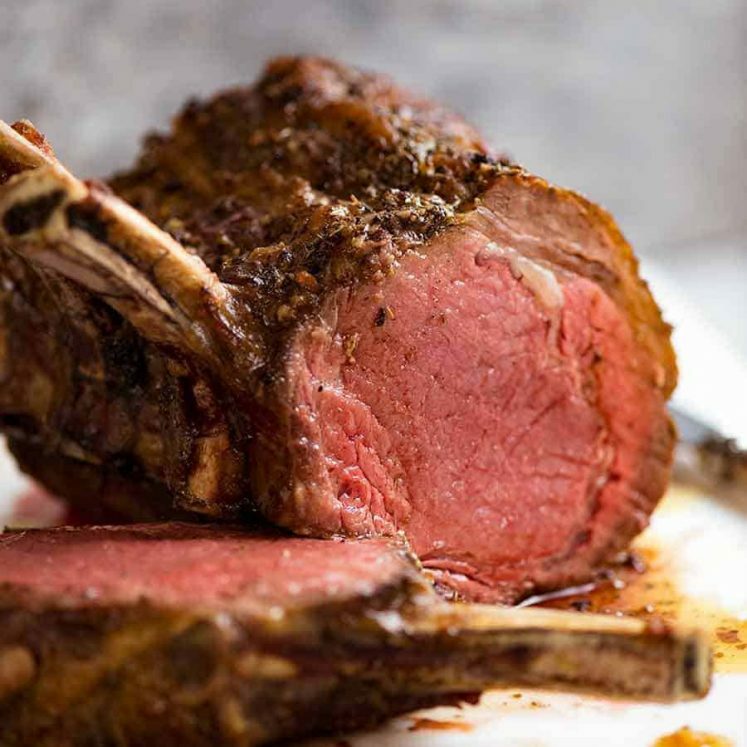 Remove lamb from roasting pan - reserve juices. Cool the lamb for 20 minutes or so (so it firms up slightly, easier to handle). If you used shoulder, pull the meat off the bone in 4 or 5 chunks (see video). Preheat BBQ to medium and oil if required. Coat lamb in pan juices. Sear on both sides until deep golden and a crust forms. Dab with pan juices on both sides. Slice or shred lamb, as desired. Drizzle with plenty of juices. Make Lamb Shawarma wraps by serving with shredded lettuce, tomatoes and minted yoghurt (Note 3) or pile over Lemon Herbed Couscous (Note 4) and garnish with pomegranate seeds and parsley or chopped coriander/cilantro (if desired). Both pictured in post. However, this can be made with bone in lamb leg but if you do so, do not skip the marinating time. 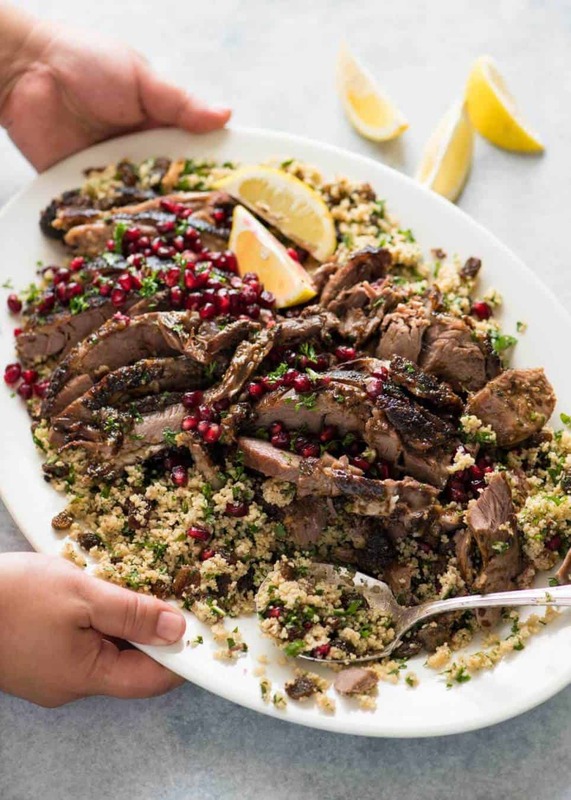 Marinating is optional for this recipe because the slow cooking time allows the spices to penetrate and also the pan juices drizzled on the lamb has such an intense flavour. 2. Finishing on the BBQ is optional. It creates an amazing crust, and is a great way to reheat lamb if you make ahead and in the spirit of gatherings! 3. Minted Yoghurt: Plain Greek yoghurt + finely chopped mint + lemon juice + olive oil + salt & pepper. Optional 1/2 garlic clove, minced. Set aside 20 minutes. 4. Lemon Herb Couscous: Combine 3/4 cup raisins or sultanas (or other dried fruit of choice) with 1.5 cups each couscous and hot boiled vegetable stock. Cover with cling wrap, leave for 10 minutes. Fluff with fork. Stir through lots of finely chopped parsley and mint, lemon zest, juice, salt, pepper and extra virgin olive oil to taste. 5. MAKE AHEAD: I like to use shoulder for making ahead because it reheats better simply because it has more fat marbled through the meat. Let it cool then refrigerate in the pan juices. Reheat in the oven covered at 160C/320F for around 20 minutes or microwave. Or bring to room temperature then BBQ on medium (per recipe) to reheat, basting as you go. 6. SERVINGS: A 2 kg / 4 lb shoulder will serve 5 hungry or 6 normal servings, the leg will serve 6 - 7 (it shrinks less). 7. SLOW COOKER: This would be terrific to do in a slow cooker as long as the lamb will fit (which mine would not!). Reduce water to 1 cup and slow cook for 10 hours on low, then transfer the lamb either to the oven (including juices in the slow cooker) or finish it on the BBQ. 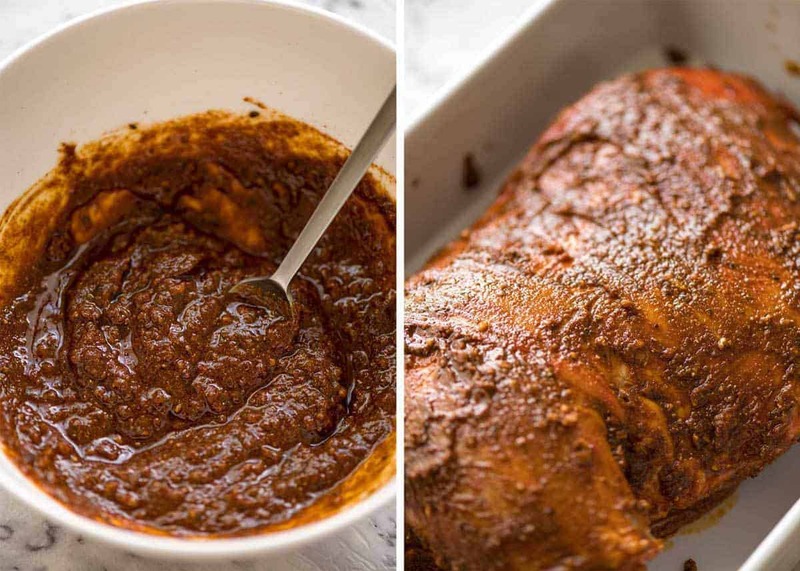 The Slow Cooker Roast Lamb Leg video shows how to do these steps (just the rub is different). 8. 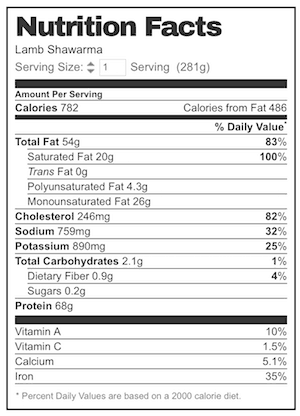 Nutrition per serving, assuming 6 servings and that all pan juices are consumed which they probably won't be, so the calories are higher than it should be (especially because there's lots of fat in the juices). Someone is happy that I’m so terrible at butterflying lamb leg…. plenty of meat left on that bone! I made this for our Easter lunch today. I cooked it at a lower temp (275f for 6.5 hours) which worked well for our schedule. We used a boneless leg. Next time I’ll use a shoulder because it’s my favorite cut of lamb. It was DELICIOUS, I served it with the minted couscous, yogurt sauce and cucumber tomato salad that you suggested along with roasted eggplant, peppers and cauliflower with a tahini sauce. What a feast! Thanks for this fabulous recipe. I’ve made several of your recipes and have enjoyed them all. Thanks! What a hit your lamb shawarma was with my family and friends. Weeks later my friends still talk about it. Thanks for sharing. Then, I reduced the pan juices to a gravy, which everyone drizzled over their meat. Thanks for this great recipe. I will make it again. Nailed it Marie! I’m so happy you enjoyed it! Hi there! I’m making this tonight, but could only get boneless lamb shoulder (3 pounds). Any recs for how long I should cook it (if that changes it??) Thanks!! Also do you think this could be made ahead and frozen? How long to cook a 7 lb bone in shoulder? Hi Carlos, sorry for the late reply, did you end up cooking this? Hi Nagi, if i make the lamb shoulder ahead, do i shred it then refrigerate it? Or do i cook it, leave it whole then refrigerate, and shred once it’s been reheated? Hi Joie, I think it’s easier to shred straight after being cooked. I like to fry my reheated lamb to get those delicious crispy bits – YUM! Hi Nagi, I’ve found your blog not too long ago while I was discovering middle eastern cooking. I love the adaptations you made to Ottolenghi recipes. Last Thanksgiving we’ve decided to make it middle eastern themed so I’ve made this lamb shawarma, chicken and pork tenderloin shawarma along with the side dishes of your Arabian Feast. I’ve never heard so many wonderful compliments about my food before. Congratulations on your awesome work and thank your for sharing these amazing recipes with us. I’ll be trying other recipes for sure. You’re so welcome Isabela, I’m so glad they were a hit! I want to do a slow cooked boneless lamb leg in the oven, and was going to set my temp to 225 F. What internal temperature do you want for truely “pull apart tender” lamb? I’ve seen a lot of recipes only recommend an internal temp of 145 F, medium rare, but I’m sceptical this would be tender enough. Thoughts? Can this be made with beef at all? I haven’t but it would be SO GOOD with brisket!! Imagine that! I have just subscribed- so impressed with your recipes and such great attention to details. I intend cooking the Lamb Shawarma using a butterflied leg next week for some girlfriends for lunch. 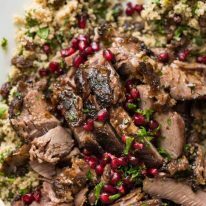 Instead of the couscous I am thinking of spreading the sliced meat over Greek salad , a drizzle of the cooking juices, and Zatziki and pomegranate seeds for colour.also some baby minted potatoes. Do you think this would work. 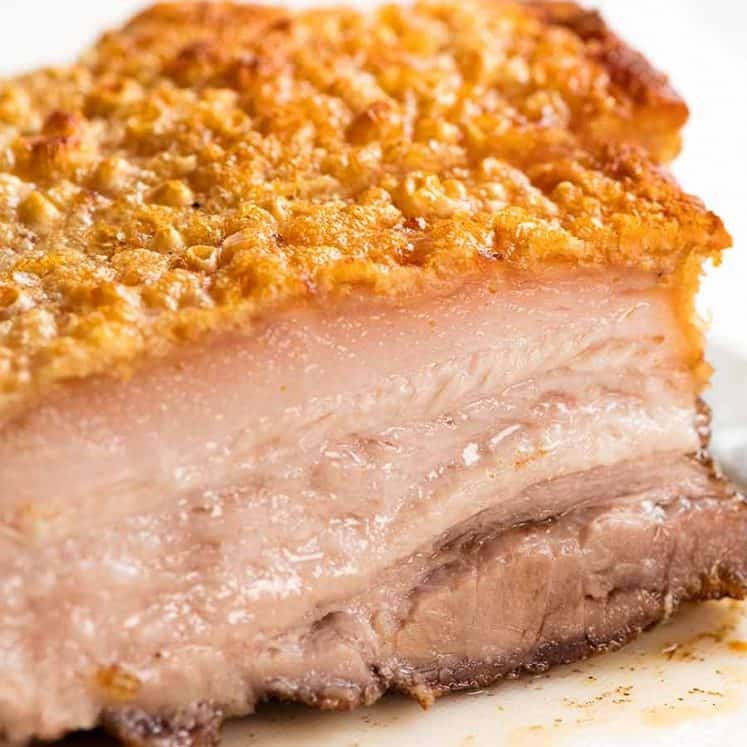 I currently have this in the oven but made it with a much smaller piece of meat, 1.2kgs, shoulder with the bone in..
How long do you suggest I cook it for? Also I just saw the note about ‘don’t skip marinating if you’ve got the bone in’ toyally Skipped it. Whoops. Will that be an issue? Do you think it would be too much to serve lamb and chicken shawarma for a stand up dinner part? Hi Giles! It depends how you serve it. Just need to think about how people will eat it – especially if they have a drink in the other hand! Chicken would work well on small skewers. Lamb I’m not sure about – maybe make mini pita wraps that people can have as finger food?? Thank you Nagi. I was thinking slicing up the lamb and as you say serve with pitta breads. Like the idea of using mini pittas. I will let you know how i get on. I was so excited to finally try one of your delicious looking recipes! My husband can be picky but I knew he’d love this as soon as I saw the recipe. I made this using a 6lb shoulder and it turned out beautifully. I used it for gyros with some homemade tzatziki and he can’t stop talking about it. He loves gyros and says these were the best he’s ever had! Definitely saving this recipe. Thanks Nagi!